Now you and your pooch can be ready for some summertime fun with this breezy beachy dog dress. 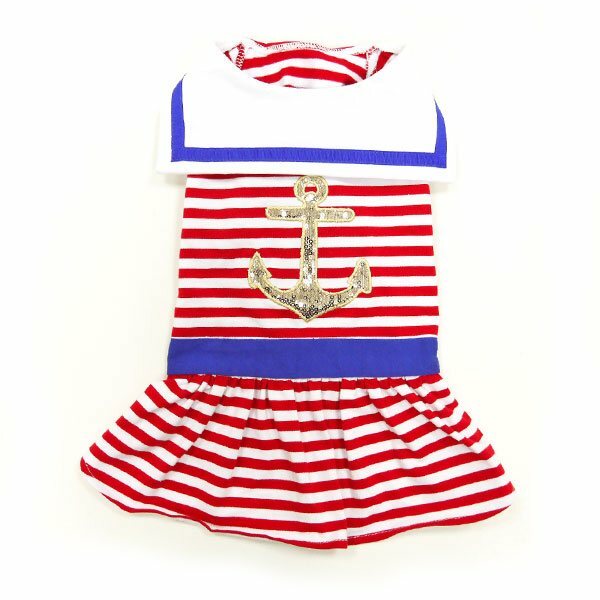 Dogo's Nautical Stripe dog dress has bright red stripes with a complimenting blue waistband. Stylish neckerchief and eye-catching flashy sequin anchor patch on the back. 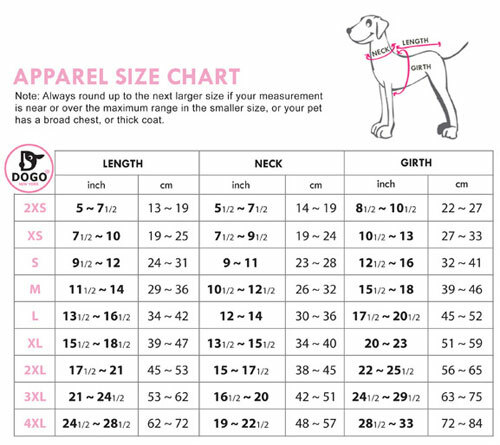 Dog dress is made from 100% cotton and has a leash hole.